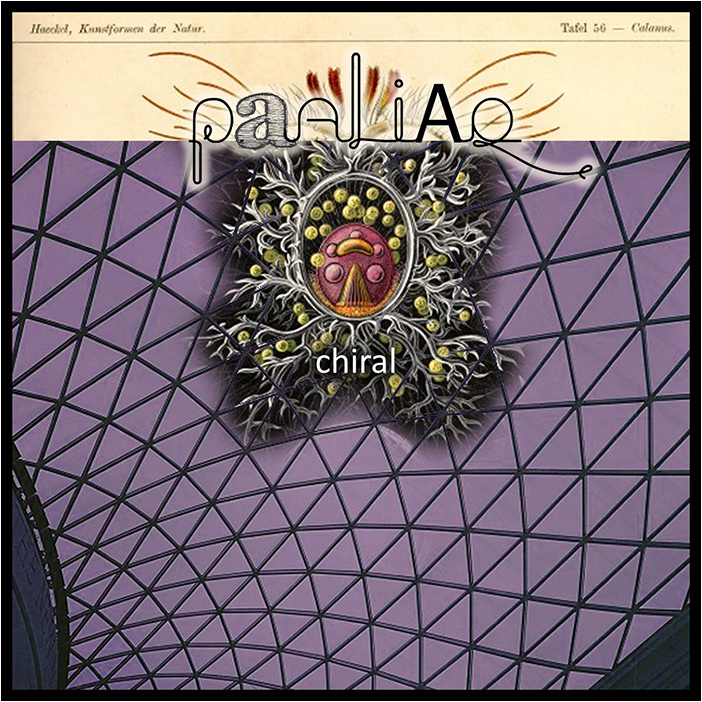 Chiral is the latest small collection of big Paaliaq tracks. Featuring the considerable talents of drummer Mike Wake, as well as the wonderful voice of narrator, Peter Yearsley. Once again, these selected tracks beautifully express and evoke the shades and shadows of Paaliaq - from grand guitar clamor to soft ambient bloom. 'Latency' is a submerged slice of piano-led electronica. 'Run Far, Run Fast' features wonderful narration kindly supplied by LibriVox narrator Peter Yearsley. Peter reads words by Rebecca Green that were specially written for this song. 'Sesquipedalian' is a fierce chunk of lopsided, instrumental rock. Chiral finishes with the sweet, effortless, electro-acoustic breeze of 'Zephyr'. Cover design by alphaman. Photography by Jon Saunders.